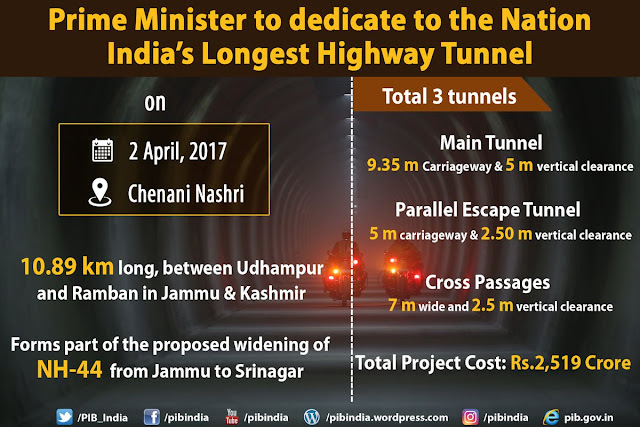 The Chenani-Nashri tunnel in J & K - India's longest - is a strong symbol of development commitment of the government. All-round development : India is taking giant strides in transport infrastructure development. The development is not confined to a state or a region, but the government is focusing on all regions and states, particularly those which have so far remained neglected and largely deprived of development. Special Focus : Jammu and Kashmir and the north-eastern region, both of which have been infested with cross-border terrorism, extremism and insurgency for a long time, seem to be on the top of the government’s infrastructure development agenda. The thought behind the idea may possibly be that development would divert local people from destructive activities to more constructive and productive activities that would bring peace in the areas. Tourism and other thrust areas : There is a huge scope for tourism development in J & K. The government recently (February, 2017) rolled out two mega projects worth Rs. 194.74 crore for development of tourism infrastructure in the state. These are in addition to the projects worth Rs. 2241 crore already approved and started under Prime Minister’s Development Programme (PMDP) and Prime Minister’s Reconstruction Programme (PMRP) for the State. 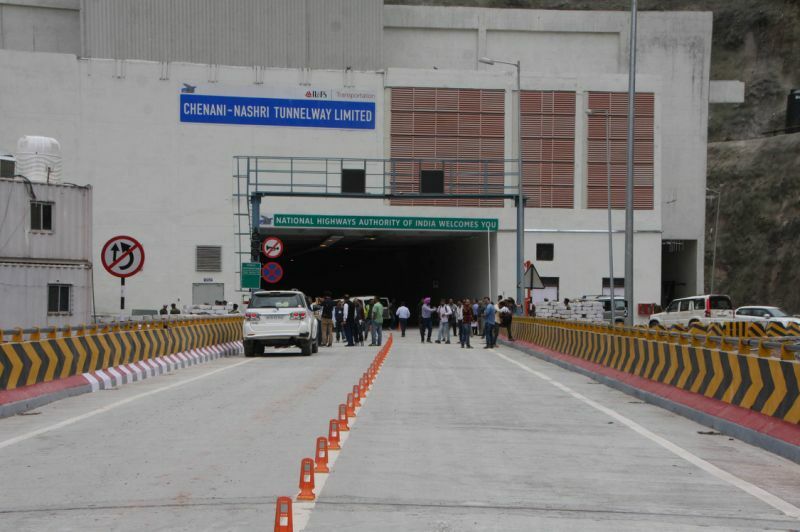 Chenani-Nashri tunnel : Prime Minister Modi inaugurated India’s longest road tunnel – 9.2 km Chenani-Nashri tunnel – on Jammu-Srinagar National Highway on 02-April. 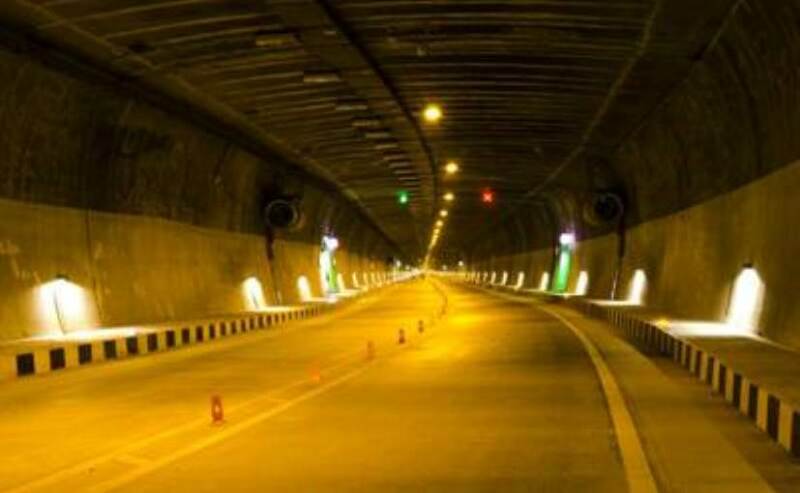 Built at a cost of Rs 2,519 crore, the state-of-the-art main bi-directional tunnel, built in a record time of four years, consists of 9.35 metre wide carriageway with a 5 metre vertical clearance. Twin capitals happy! The construction of the tunnel would not only cut the travel time between the twin capitals by two hours, but would also facilitate smooth transport during winter season, when the only road link connecting Kashmir to the rest of the country remains closed due to snowfall and landslides. Emergency, escape tunnels : Along with the main tunnel, there is a parallel escape tunnel for emergencies. There are 29 cross passages at every 300 metres connecting the two tubes. 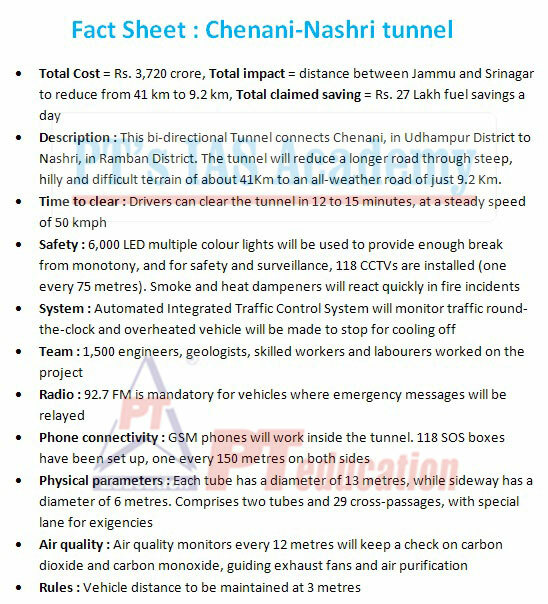 Cost savings : With the new tunnel, an estimated Rs 27 lakh of fuel will be saved per day. The tunnel is also equipped with traffic control system, adjusted lighting to prevent diminution of vision and mobile network facilities set up by BSNL, Airtel and Idea. Multiple facilities : Environmental protection has also been ensured while building the tunnel and large scale deforestation and tree cutting has been avoided. The tunnel is also equipped with video surveillance, power supply, SOS call box, fire fighting and incident detection. The other major 8.5 km long tunnel connecting Banihal with Qazigund will operate later in 2018. Terrorism or Tourism : Speaking at the occasion, the Prime Minister said Kashmir must choose between tourism and terrorism. For the last 40 years, much blood has been spilled and nothing has been achieved, if tourism had been the focus Kashmir would have been the hub of tourism.